Under the aegis of GTU-GIC Navsari Sankul and motivation of Dr. K. N. Mistry, an FDP on Design Engineering for Zone-5 faculty members was organized at the GIDC Degree Engineering College, Abrama-Navsari during 18th and 19th October 2016. About 45 participants attended the FDP and enjoyed the design thinking process under my guidance. I enjoyed more, rather. Coordinating support of Prof. Nilesh R. Parmar was outstanding. Prof. Vashi and Prof. Brijesh also assisted well for the event accomplishment. Here are the presentations discussed during the FDP for further usage. All the presentations are licensed under Creative Commons 4.0 – Attribution-ShareAlike. It means the interested person is freely allowed to use all the content compiled in the context. It all begun with discussions about the concept of the design thinking and its entry in the engineering at GTU. During the post-lunch session, there were discussions about roleplaying, mind mapping, observation techniques using ethnography, empathy mapping and case studies where empathy failed. 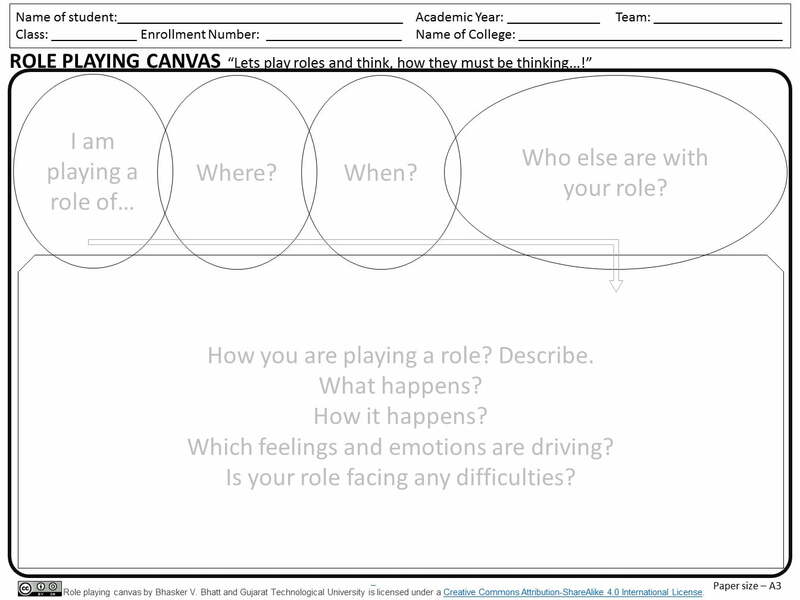 Participants constructed role playing canvas and empathy map in their teams. The first session on the day was, to begin with brainstorming and observation on selected theme by the participants. About an hour, brainstorming, a quick round of observation on the field followed by compilation on observation summary was performed. The discussions went on with idea generation – Ideation. It is important to identify the chasing a product development requirement, specifically in terms of learning needs as many newer learning is required. LNM was discussed then after. Dirty mock-ups or rough prototypes/ fast prototypes of idea developed as a product/process is the next item in line. SCAMPER tool really is a wonderful help to fine-tune the product development through different components. The contents of the DE-II was discussed along with creating a SCAMPER for the visualized product on PDC. It was a restless rush during the entire of 2-days’ journey, starting from scratch and reaching to a new beginning. Here are some of the snaps. 2-day FDP on Design Engineering at GDEC, Abrama-Navsari (18/19-10-2016) by Bhasker Vijaykumar Bhatt is licensed under a Creative Commons Attribution-ShareAlike 4.0 International License. Based on a work at http://bvbhatt.com/2016/10/21/2-day-fdp-on-design-engineering-at-gdec-abrama-navsari-1819-10-2016. This is a free-culture license. A user is allowed to use it for free- for all kind of purposes, however, credit through a citation of the creator is all that is needed to use it.